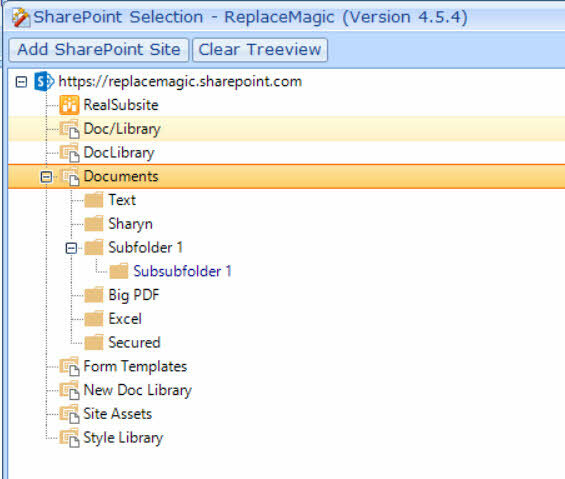 To make story short - ReplaceMagic supports native integration with SharePoint. This means that through ReplaceMagic you will authenticate yourself on SharePoint and your sites, document libraries and folders will be visible. By navigation through SharePoint treeview you can select location where your documents are and ReplaceMagic will process them like (scanning and later replacements). Main advantage of this approach is that ReplaceMagic can keep document properties like last accessed date/time and editor which are overwritten everytime when document is accessed/modified. With this functionality when you use ReplaceMagic for your end-users nothing will change as document properies will stay the same like beofre. In case that you have some custom views they will still be the same (sort order of documents in SharePoint) like they were before ReplaceMagic processing.